Proper car care is important not just for maintaining of the vehicle’s value. Cleanliness also provides your customers feeling of trust. So your quality guarantee starts already with arrival of your vehicle at customer’s location. 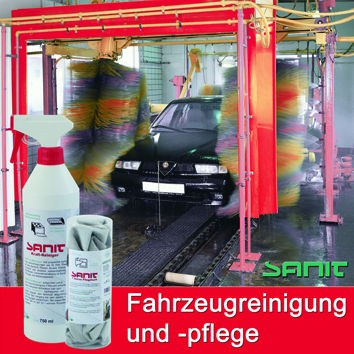 In the range of SANIT-CHEMIE you will find effective and environmentally sound products for cleaning and care of your vehicles.